OMG Miss Katy what a Totally Funtabulous Card!! 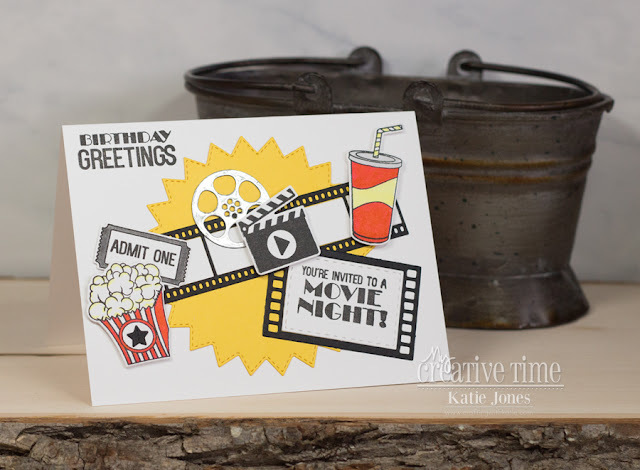 Outstanding clever, brilliant and ingenious ways to use these awesome Miss Emma goodies...love the colors and the collage of Craftabulous Goodness you created!! Super Cute story share...bring back memories of my son taking out my grandson to movies when they were younger.....definitely memories to last a lifetime...TFS!! You so did a Super Outstanding Creative job!! YOU so ROCK!! I bet the boys had a fun time together...what a super idea! Great card for the occasion too. Love how the Starburst brings out the details. Wonderful job.